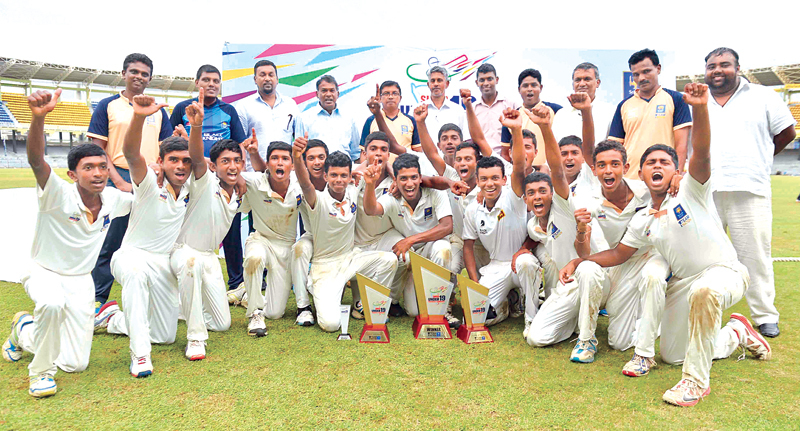 North Western Province crowned themselves as champions of the first Super Under 19 provincial cricket tournament when they won the 3-day final on the first innings in a drawn game played at the R Premadasa Stadium yesterday. NWP who had a healthy 95 run first innings lead dismissed Southern in their second innings for 214 leaving themselves with a target of 120 to chase for victory. They reached 46-4 off 22 overs before the game ended. Pubudu Ganegama of NWP was named man of the final, while Damitha Silva also of NWP took the Man of the Series award. 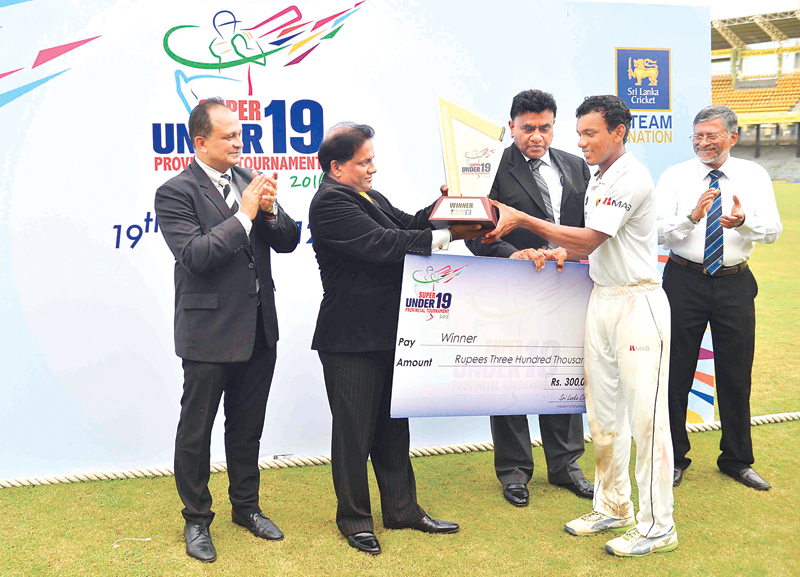 The other two awards went to Southern Province – Navindu Nirmal (best batsman) and Hareen Buddila (best bowler). North Western Province celebrate their victory as U19 provincial champs.